Texting messages is a good way to get contact with your family members, friends, business partners or coworkers, but messages are always deleted or lost on your mobile phone due to lots of reasons, such as accidentally deletion, virus attack, your device be stolen or damaged, factory resetting, and so on. Then more and more users are looking for an effective way to retrieve or get back these deleted or lost messages for further use. 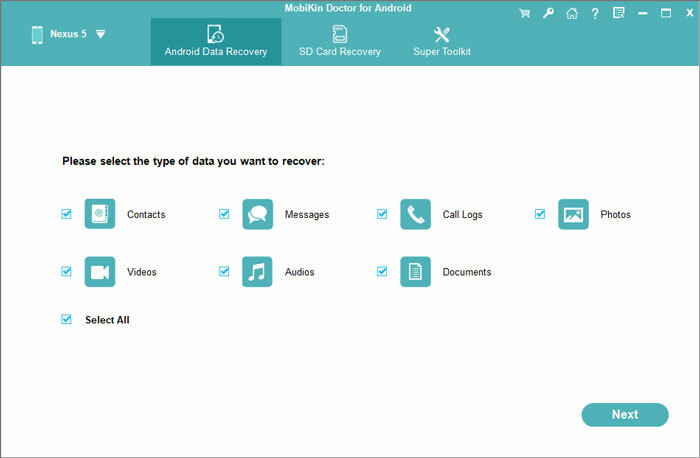 Now the problem is coming: Is it possible for us to recover deleted text messages from Android phone like Sony Xperia, HTC One, etc. without asking for help from a professional data rescue team? The answer is completely YES. When you have done the things we mentioned above, then you can follow the below instructions to learn the detailed steps about how to restore lost SMS messages from Sony Ericsson Xperia easily. Let's have a brief look on the primary window of the best Sony Message Recovery software. Mac users please get the Mac version and follow the same steps as follows by yourself. After the scan, messages on your phone will be categorized in the left panel. Just click it and you can see an interface like below. Deleted messages will be marked as red color, you can go through them and find the one you wish to restore, and mark the file and hit "Recover" button to save them on your computer.